Education is obviously something we think is very important, whether you’re changing careers, starting a new business, or looking to upskill for a promotion. But what about education to keep your current job? The Australian Government thinks that’s equally important, especially for BAS and tax agents. In March this year, the Tax Practitioners Board (TPB) changed their renewal process to now include continuing professional education (CPE) as a mandatory for all registrations after July 1, 2016. Between now and June 30, 2016, it’s sufficient for BAS and tax agents to merely show they have read and understood the new CPE policy to renew their registration, but this arrangement can only be used once; moving forward those BAS and tax agents will still need to complete further education to register again as a BAS or tax agent the in the future. 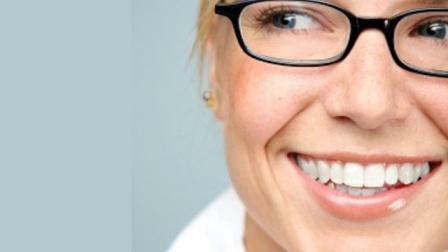 Are You a Currently a BAS or Tax agent? 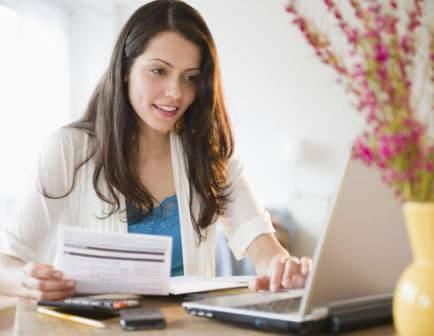 Over the last few years, the Government has introduced a lot of new measures that BAS and tax agents have had to comply with in order to continue to offer their services to clients, namely the changes in 2010 that made it mandatory for all BAS and tax agents to hold a minimum qualification of a Cert IV in bookkeeping. The new CPE requirement could seem like just another measure that BAS and tax agents need to comply with just to be able to keep their jobs. It’s not. CPE has been introduced to ensure that BAS and tax agents continue to understand, not just their own industry – that of tax and finance – but also how other industries are changing too. There are more people leaving their jobs as employees and starting to work for themselves as consultants and freelancers and contract workers, across a wide array of industries. Marketing professionals, for example, no longer simply come up with marketing hooks for companies; they also have to understand how to create websites and how SEO works and social media. In some cases, they even become unofficial spokespeople and sales reps for the companies they’re consulting with, leveraging their contacts on their clients’ behalf. This vastly complicates a marketing professional’s tax if that marketing professional’s job now encompasses the roles of several other professions within it. Similar changes have been observed in bookkeeping, with registered BAS and tax agents now providing more operational and administrative-type services, in addition to just bookkeeping. The point, then, of CPE is not to make it more difficult for tax and BAS agents to renew their registration with the TPB, but to help tax and BAS agents to remain as highly skilled as they’ve ever been, in an ever-changing labour market. And the better skilled you are as a BAS and tax agent, particularly those self-employed BAS and tax agents, the more value you’ll be able to provide your clients, and the more work you’ll get from them in return. To learn more about continuing professional education for bookkeepers, visit the TPB website. Otherwise, to read more about bookkeeping, particularly starting your own bookkeeping business, continue reading our blog. Are you a Writer and Want to Work from Home Blogging for Businesses? I write about marketing professionals because they are increasingly important in small businesses as businesses grapple with getting discovered online. I recently wrote about Blogging for Business and our new training course to help businesses with their content marketing strategy and tasks because it’s something that my team are spending more and more time on. It’s also an area that is evolving every month and requires writers to learn about and adapt to new technology. Enrol into the Blogging for Business Course now and take advantage of it’s current cheap price. We’ll soon be adding real life exercises where blogging students will be asked to create content and have it edited and published so they can participate in a real world business blogging project! Is Single Touch Payroll Really Dead? For a while there it looked like the ATO would introduce single touch payroll for all Australian businesses by July 2016, but after feedback from the businesses community that original plan has been shelved – for now. With SuperStream simplifying the way businesses manage the superannuation contributions for their employees, it’s highly likely that we’ll be seeing some form of the single touch payroll model in the near future. Single touch payroll was an initiative developed to simplify the payroll process for Australian businesses. Currently, most businesses are burdened with a number of tax and superannuation reporting obligations, which single touch payroll would have put an end to. What exactly was single touch payroll? Single touch payroll, like SuperStream, was a proposed interactive tool that would allow a business’s accounting software to automatically report payroll information for their employees to the the tax office, eliminating the need for businesses to report pay-as-you-go withholding (PAYGW) in their activity statements throughout the year, as well as end-of-year employee payment summaries. There was also a proposed digital service that would have streamlined tax file number declarations and Super Choice forms, which would obviously reduce a lot of the red tape and paperwork associated with employing staff. Single touch payroll would have integrated with nearly all accounting packages in Australia, including MYOB, Xero and Quickbooks, just as SuperStream does now, so why was it shelved by the ATO until further consultation with the business community? The main concern for many businesses was that single touch payroll would impact their cash flow by requiring employers to pay the tax withheld from wages and super guarantee payments at the same time they paid their employees’ wages. There were also concerns about whether compliance by July 2016 was realistically achievable for the majority of businesses, especially when the SuperStream changeover is still ongoing. For businesses with a substantial number of employees, single touch payroll could have been a godsend. Unfortunately, the original proposal alienated smaller businesses by making it necessary to pay both tax and super guarantee payments at the same time as employee wages, when most employers currently make those payments to the ATO each quarter. But that doesn’t mean the single touch payroll system has been scrapped altogether. The ATO, in consultation with industry groups and the Minister for Small Business, is working on developing another single touch payroll scheme that will make real-time payments for withholding and super guarantee payments voluntary, which will be tested with small business owners before it’s rolled out across the board. What single touch payroll really highlights is how important it is for small businesses to make sure that they’re using a current accounting software package – and there are many on the market, developed especially for small businesses – that supports SuperStream and will also support any other ATO initiatives, like single touch payroll. If you’re not using an accounting package for your small business, it’s wise to choose one of the major accounting software providers, which Margaret Carey of Business EEz also suggested when we spoke to her not so long ago about SuperStream. You can read more about SuperStream and the new measures the ATO has introduced to make payroll and superannuation compliance easier for small businesses by subscribing to our blog. Alternatively, if you’re a small business owner using either Xero or MYOB and you’d like to know how to properly setup and use payroll in your accounting software, enrol in one of our MYOB or Xero training courses today. Does SuperStream streamline superannuation payments? If you’re a small business with nineteen or fewer employees, then come July 1 this year you’ll need to begin making superannuation contributions for your staff using SuperStream, the government reform introduced last year to improve the efficiency of Australia’s superannuation system. The purpose of SuperStream is to ensure employer contributions are paid in a consistent and timely manner, while also setting a common standard for how super contributions should be managed, which had previously been lacking from legislation relating to superannuation contributions. Medium-large businesses with more than twenty employees have been able to use SuperStream since July 1 last year and have until June 30 this year to become compliant. From July 1 this year, small businesses with nineteen or fewer employees will until June 30 2016 to meet the SuperStream requirements for their business. What’s the benefit to employers? What measures will businesses need to adopt to use SuperStream? Using a commercial clearing house or the Small Business Superannuation Clearing House (for businesses with fewer than twenty employees). We haven’t made any updates in our MYOB Training Payroll Course for this, but we’re keeping a watchful eye. What if your business mainly uses contractors? In this case, they’re considered an employee for the purposes of the superannuation guarantee, so you’ll need to ensure you’re also compliant with SuperStream, even if that contractor has an ABN and invoices you. 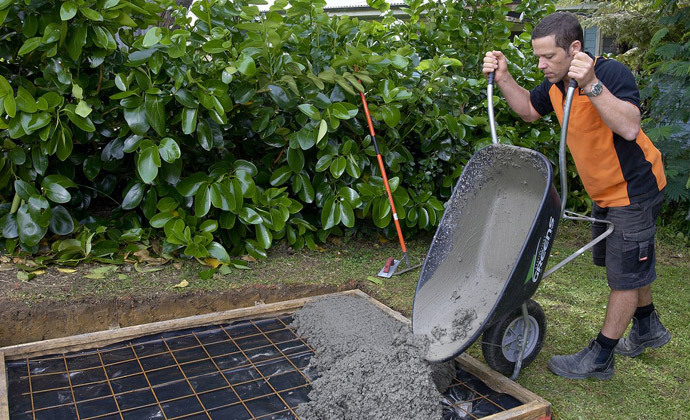 You won’t have to pay the superannuation guarantee for a contractor if the person is hired to complete a specific task for which they are paid to complete only, and they are responsible for fixing any defects to the work. If you hire contractors to provide mainly labour services on a regular basis, where they are paid for the time they spend working, rather than on a project basis, for the purpose of SuperStream, they will be counted as employees. If you have more than twenty contractors that fit this description, you need to ensure you’re compliant wit SuperStream by June 30 this year; if you’ve fewer than twenty, you have until June 30 2016 to become SuperStream compliant. It’s a good idea to review the SuperStream section of the ATO’s website for more information on SuperStream or visit the section on contractors if you’re unsure whether you should be making super contribution on your contractor’s behalf. 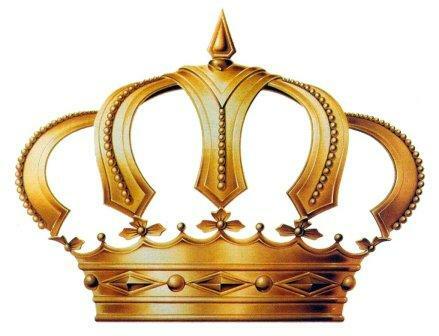 Posted on July 13, 2015 Author Steve SlisarCategories Bookkeeping, MYOB training course, News, Training CoursesTags #350, making superannuation contributions, MYOB, superannuation for small businesses, superannuation guarantee, SuperStream, superstream and small business2 Comments on What is SuperStream? We’ve been following emerging trends in accounting software to ensure our training courses meet current market demands. It’s why, in addition to our flagship MYOB Training Courses, we offer training courses in Xero and are currently developing an Intuit Quickbooks Online Training Course. As a St George customer, one of our team members was interested in what this new partnership would mean for Saasu customers, and even wondered whether it would be worthwhile making the switch from MYOB, given Saasu’s relatively cheap offering of cloud-accounting software. I recently wrote of the sad news of Reach Accounting software shutting down and there might be some good news for independent contractors who operate their own business. 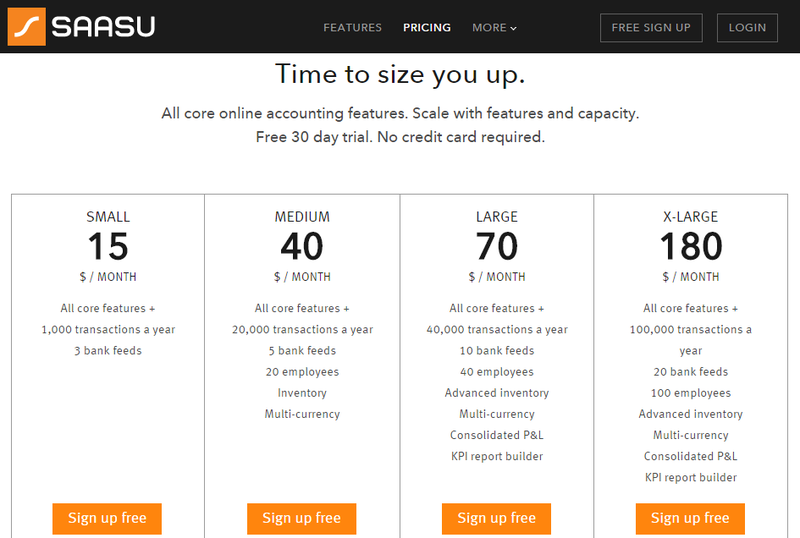 SAASU – a privately owned Australian company has a $15 per month plan aimed at helping small business manage their bookkeeping in the cloud with cheap accounting software. What I discovered was promising. For Westpac customers, the partnership brings the ability for Saasu to provide direct bank feeds for free, without the use of a third-party provider, which so many other cloud-accounting platforms use – even MYOB utilises BankLink, for example. For non-Westpac customers, little will change in terms of bank feeds; Saasu will continue to utilise the services of Yodlee for bank feeds just like Xero and Zoho. Bank feeds eliminate nearly all of the data entry associated with bookkeeping, and they’ve been a revolution for small business owners and bookkeepers alike. As the most time-consuming, yet crucial, part of the bookkeeping process, automatic bank feeds, which pull your bank transactions into your accounting software, allow BAS agents to get on with actually preparing a client’s BAS, while business owners have an up-to-date picture of what’s happening with their cash-flow as it’s happening. Note that I’ve mentioned BAS agent, rather than bookkeeper. Technically, the BAS agent I’m talking about is a bookkeeper, but with bank feeds now pretty well commonplace among most cloud-accounting apps, there’s really no need for them to engage in that tedious data entry process, freeing them up to take on more clients and earn more money. So will our team member be switching to Saasu? No, not just yet. The latest Westpac partnership is promising and our independent contractor certainly liked the pricing, but Saasu lacks one major feature that our independent contractor couldn’t live without: a mobile app, or at least a well-functioning one. The current Saasu app hasn’t been updated since 2011, and doesn’t work on an iPhone running IOS 5 or higher, so despite the volume of small businesses that invoice from the road (think: tradies), Saasu appears to have neglected it’s mobile properties. MYOB has the MYOB OnTheGo app that businesses can use to check outstanding payments, create invoices, and even update customer records. The app allows users to manage their accounts when they have the time – like in the few minutes waiting to meet with a business associate for lunch, for instance – rather than forcing them to set aside large portions of their time to stay on top of their accounts, which is really why bank feeds and cloud-accounting have become so popular. Of course, MYOB isn’t the only company to offer a mobile app – Xero, Quickbooks, and Zoho all offer mobile apps to compliment their desktop offerings. As for Saasu, they’re certainly the ones to watch. For what was once a nimble Aussie startup to have partnered with one of the big four banks, it shows that there’s a new frontier of cloud-account nearly upon us. 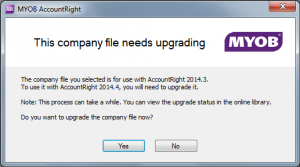 MYOB AccountRight Live OR in the Cloud? 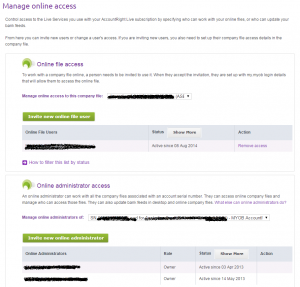 We were asked by one of our MYOB course students recently how you can manage user access to your MYOB accounting file and we did some looking around, spoke to our MYOB course creator and came up with the following useful information. which enables you to choose your administrators as well as who you want to be able to access your file (like your bookkeeper or accountant). But you can also manage users from within the software. Note the out of place word here? – Software – Yes, when you launch the software and Open your Online data file, you can setup users and be much more prescriptive as to what they can access or not, but also which areas they have read only access as opposed to full access (read and write). The silly part of this is we would expect cloud-based software to enable you to do everything in the cloud! If you look at the current MYOB model for their AccountRight Live product you still need to download the software to use it and you still need to update the company file if you update the software version!? We thought that this day had passed when the concept of cloud based accounting arrived. Is it Designed to Help Current MYOB Users? When I look at the way that MYOB AccountRight Live is managed at first it looks like it was built for people who are used to having a software program on their computer. Then when you see the capability to Open company data files that are stored “Online” you get the feeling that it would be just as easy to use Dropbox to store your datafile. The worst news comes when you expect the MYOB AccountRight Live software (that has a little cloud around the live) to work just like other cloud-based account programs like SAASU, QuickBooks Online and Xero you get dissappointed in having to install and use software on every computer you use – and I haven’t even tested to see if they have a program for the iPad. If you are the kind of person that loves storing a local version of your datafile (and take the risks of protecting your own computer against, viruses, crashes or other corruption) this might seem like a good feature. I bet we see this product evolve until the point where it is finally an all online accounting solution. Although you can make some rudimentary changes via my.myob.com the best way to add users and make specific choices about what they can see as well as what they can edit and see, you need to launch the software (make sure you’ve downloaded it of course) and then go to Setup, User Access. We used a current version of AccountRight Live Basics to perform our tests and any new content we create and publish for our MYOB Training Courses are available to existing students – whether you are on a 12 month course access program or LIFETIME course access. Feel free to enquire with us if you have any questions about our online MYOB Training Courses, or enrol today, start by 5pm tomorrow and be comforted by a 30 day money back guarantee. IN ADDITION TO OUR MYOB and Xero online training courses, we also offer an online training course in Reach Accounting, the cloud-accounting software by Aussie-owned company, Net Registry. Not many people are aware of this, and I’ve been quite remiss when it comes to talking about it on this blog. In fact, I’ve spent more time talking about Zoho and QuickBooks recently, than I have spent time talking about Reach. This is partly because I’ve been quite interested to see how QuickBooks has been resurrected by it’s American-owned parent company, Intuit, as it attempts to take on Xero and MYOB in the Australian marketplace again. My interest in Zoho, meanwhile, stems from one of my contractors, who uses Zoho Books to manage her business accounts; she was telling me about Zoho’s many features, and I surprised to learn just how comprehensive the Zoho Books software is for such a low price. Zoho and QuickBooks are both positioning themselves as low-cost accounting packages to appeal to the substantial small business market in Australia, but there’s just one thing they can’t compete with Reach Accounting on, and that’s ‘Australianness’. Reach Accounting is an Australian owned and operated business, and as the owner of an Australian owned and operated business, I like to support other Australians in their business ventures. 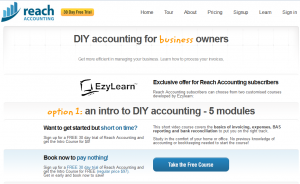 Reach Accounting focus their accounting software towards people who start a business as a website designer. I’m always saddened when I hear of Australian businesses being sold to overseas conglomerates, which take the Aussie jobs back overseas with them, where the wages and materials are cheaper. It makes it all the more difficult to compete for customers in the Australian marketplace when your once-Australian competitor is now producing products or services at a much lower price at their offshore headquarters. It’s also difficult to compete with the increasing number of overseas-owned businesses entering the fray, now that the Internet has unlocked a global marketplace. What many Australian businesses don’t realise, however, is that they possess a power those overseas businesses don’t: they speak Aussie. Whether you’re a home-based bookkeeper or virtual assistant, one of your greatest assets is that you’re an Australian and that means you have a deep understanding of what it means to be Australian – from the accent to the vernacular, you get it. It’s also a lot easier to call an Australian company than it is to call an overseas one. My Zoho Books-using contractor was telling me of a complex situation she was experiencing with her account. Unfortunately, the nearest customer service office she could call was located in China, so she had to email. I suddenly thought about Reach Accounting, which is based in the Inner Sydney suburb of Ultimo. For the same price as Zoho Books – possibly even cheaper now, thanks to the fluctuating Aussie dollar – it would have been much easier to say “G’day” to one of the guys at Reach than it was to email China or India or Japan or wherever in the world Zoho’s customer service offices are based. As an Australian business, don’t hide your Australianness from view. Wear it proudly, because it makes a big difference to customers trying to decide between your company and the multinational after their business. For more information on any of our cloud-accounting courses, visit our website. While we are on the topic I want to mention our StartUp Academy because we are planning some fantastic ways of helping ordinary people start a business in 2015. We’re using a combination of our Small Business Management Course and business opportunities from established companies who want to find people who can work from home and sell and support their products. We’re also using our Small Business Management course to help our existing students start businesses using the skills they learn in their EzyLearn course – namely MYOB and WordPress. 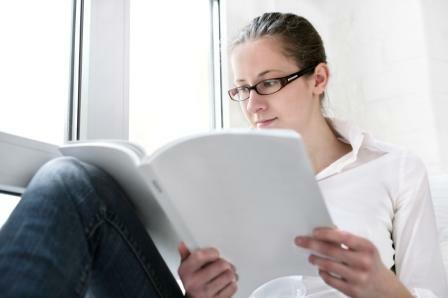 If you’re interested in starting a bookkeeping business read on about National Bookkeeping. Get Paid Faster Using Your Mobile Phone! You can use your mobile phone to get paid – great for tradespeople as well. No doubt about it, one of the biggest hurdles you face as a small business owner is managing your cash flow. A big part of this is ensuring your clients and customers pay your invoices on time. Setting up email alerts to remind customers when your invoices are due is a great way to ensure you’re never – or at least, rarely – paid late, which we’ve written about on this blog and even cover in our MYOB training courses. Most account programs like MYOB AccountRight Live offer this facility, as does Reach Accounting, Xero, and so on. They also have their own app, allowing you to create and send invoices right from your smartphone, so you can invoice customers right away, even when you’re not at your computer. MYOB’s PayDirect service, for which an app is available from the Apple App Store and Google Play, goes one step further. By purchasing a credit card reader from MYOB, you can accept credit card payments from your phone, just by pairing the reader with your smart phone or tablet device using Bluetooth. Again, this is a fantastic function for tradies, who either have to wait for their clients to transfer the funds to their account or enter into a contract with a bank so they can offer mobile eftpos facilities. Now, for just the cost of the reader, small business owners can offer this facility to their clients, and it’s also linked with their MYOB account. MYOB’s new PayDirect facility competes not only with the big banks, but it’s also competing with PayPal, which offers a similar service called PayPal Here. There’s very little difference between the two services. The main, fairly negligible, difference is in pricing structure and additional functionality, so deciding between each service comes down to what fits your business best – do you integrate your PayPal facilities with a PayPal Here account, or do you integrate your MYOB accounting software with an MYOB PayDirect account? Ultimately, though, they’re both great facilities that enable to small business owner – whether you’re a tradesman, a small retail shop, an online retailer who has a market stall, or even an independent contractor who’d like to have the ability to take credit card payments – to get paid faster. The quicker you’re paid, the better it is for your cash flow. Maintaining good cash flow is vital to the success of your business; it allows you to pay your suppliers on time, and keep on top of your other outgoings. Maintain good cash flow, by ensuring you make it as easy as possible for your customers to pay you. Offering a number of different payment facilities is one way of doing that. Don’t do all the hard work and not get paid for it: consult our checklist for what you can do to get paid – and faster. If you’re working as a contractor and using an Australian business number (ABN), rather than a tax file number (TFN), you’re self-employed, and this means you will need to invoice your customers for the products or services you provide in order to get paid. If you’ve only ever worked as an employee before, you’re probably used to being able to set your clock to payday, but unfortunately this isn’t often the case when you’re a contractor. Getting paid late — or worse, not at all! — can seriously affect your cash-flow, and in turn, affect the success of your business, which is why we cover things like financial planning in our Small Business Management and Start Up Course. When you’re first starting out, getting paid is usually the only thing you can think about, which is why it’s important to remember that the sooner you submit that invoice, the sooner you’ll get paid! But first, how the heck do you design an invoice, anyway? There was once a time, when contractors and the self-employed had only two options: toil away, creating an invoice in Word or Excel; or buy a rather expensive piece of accounting software, like MYOB. If you’re so inclined, you can still do both of these things — and depending on the scale of your business and your business needs, MYOB could be a sensible purchase — but, behind the door marked ‘internet’, there’s also option number three: use a cloud-based invoicing program. One such cloud-based invoicing program is Zoho Invoice, which we’ve written about previously, and who also offer a range of other small business solutions. There’s also Reach Accounting, which we offer an online training course in, as well as Xero and an infinite number of other online accounting software packages. 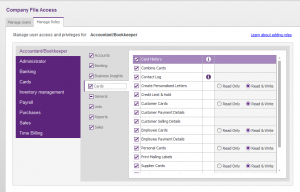 Each accounting package makes creating and submitting an invoice, quick and simple. But does that necessarily guarantee you’ll be paid on time? Well, that really depends on the client. However, there are a couple of things you can do to speed up the process and ensure you’re paid on time. Discuss your terms: When you first start working with a new client, discuss your terms with them upfront. We’ve found that a verbal conversation with a customer tends to stay in front-of-mind more than a line in an email or on an invoice. Make sure you’ve got the right contact: Often the person who commissions or hires you isn’t the person who pays the bills – this is usually the responsibility of accounts payable, so make sure that the person you’re sending invoices to is the person who’ll eventually pay you — you’d be surprised how much time this saves! Include payment details: This is an obvious one, but you’d be surprised how many invoices are sent out into the universe without details of how to actually pay them. Make sure you include your bank details, or if you’re going to use PayPal, make sure that you set up your payment gateways properly. Use email: If you usually hand someone a hardcopy invoice, or you still fax or mail your invoices, stop now! This is dated and there’s the risk your invoice will get lost — and that means, no money for you (and also no dinner or hot showers, either!). Most accounting programs, if not, all of them, have the functionality to email your invoices to multiple contacts once you’ve created them. This is extra handy, if, as in the situation above, you have two contacts at the company you’re working with. Offer incentives: We don’t recommend all businesses do this — and certainly not the cash-strapped freelancer or virtual assistant — but if your business has a high turn-over of invoices, and you’ve reached a place where you can feasibly offer customers who pay before the due date a discount off their next bill (or whatever alternative you can come up with), do it. It never ceases to amaze just what someone will go through just for a little free loot. Clean, clear and concise: The cleaner the design of your invoice, the clearer your terms are (i.e. in bold, large font and with a moving GIF, if necessary) and concise your invoices are, the quicker you’ll be paid. 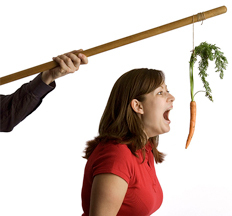 If your clients don’t know when to pay you or what they’re paying you for (hint: make sure you make your products and services clearly identified and easily trackable in the item/description section of your invoice) and they have to query these things with you, this is another hold-up in the payment process. There are plenty of horror stories from sole-traders, contractors and freelancers who haven’t been paid by clients. To avoid being one of them, it’s important to get your invoices right. If you’ve never invoiced someone before, it’s a good idea to have someone else look over your invoice before you submit it to your client. 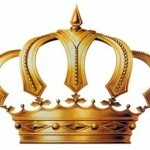 Will Xero Dethrone MYOB as the King of Accounting Software? Xero may not have toppled MYOB’s crown, but they’ve certainly forced them to find new ways to remain relevant. We’ve been offering MYOB training courses for a very long time and that’s largely because they have long been the market leader in accounting software. But in the last few years there’s been a definite shift in the accounting software space, and with cloud-based technology, a number of other players have entered the marketplace. One of those new players happens to be Xero, which has quickly gained momentum as the preferred accounting software among accountants and small business owners. Because of its increasing popularity, we decided to branch out from MYOB training courses by developing a Xero training course as well. Although it’s unlikely Xero will topple MYOB from their position as the best known and most widely used accounting software, Xero’s presence has forced MYOB to get up off their laurels and find new ways to remain competitive in the marketplace. For some bookkeepers the increasing fragmentation of the accounting software space is a drag and one that forces them to learn how to use a number of different account software packages as their clients move away from MYOB. The upside is that all this competition in the marketplace has led to some very useful developments as MYOB, Xero and others battle it out in a bid to stay relevant to their customers. The first big development was MYOB’s decision to follow Xero into the cloud, by launching MYOB Account Right Live. This was soon followed by the introduction of automatic bank feeds (which we’ll cover at length in a future post), and then MYOB Essentials, the low-cost option for small businesses. The developments in the accounting software space are likely to keep coming — all to the benefit of you as a bookkeeper and as a consumer. So while Xero may not take the crown from MYOB, they are an increasingly popular accounting software choice for many accountants and businesses. If you’re a bookkeeper and you’d like to stay relevant in the marketplace, Xero is a must-have skill. For more information on our Xero training course, visit our website or contact our team. Posted on July 2, 2014 June 25, 2014 Author Steve SlisarCategories Bookkeeper and bookkeeping business, Bookkeeping & Accounts Jobs, Clients, Cloud Accounting, MYOB training course, MYOB Training Courses, News, Online MYOB Training BusinessTags #208, accounting software, bookkeeping, bookkeeping business, cloud accounting, cloud accounting software, MYOB Bookkeeper, MYOB courses, myob online course, MYOB training courses, online training, start a bookkeeping business, work from home, xero, xero accounting software, xero training courses3 Comments on Will Xero Dethrone MYOB as the King of Accounting Software? Bumper Content: 10 Training Workbooks Included in our MYOB Courses! 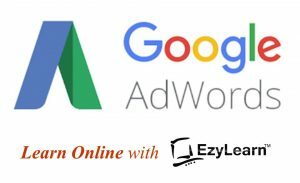 With EzyLearn, in addition to the videos, you get over 200 pages of training information in our workbook. When you’re selecting a training course provider, it’s important to consider the training material and resources you will need in order to complete the course. There are many online institutions that don’t provide any training material beyond the information available in their training videos or learning management system. Because our MYOB training courses are like an induction to the role of a bookkeeper, we provide our students with workbooks and training resources to compliment the content in our training videos and online learning tools. When you enrol in our MYOB training courses, you’re able to access 10 training workbooks, which include over 219 pages of training material and exercises that you can refer to while completing our online training courses. Because our training workbooks are delivered in a downloadable format that you can print, you have access to our training material all the time, even when you don’t have an internet connection. Our former MYOB students have found the training workbooks an invaluable training resource, particularly after they’ve completed their courses and they need a refresher on some of the more complicated aspects of the MYOB software. In fact, many of our students continue to use our training workbooks to help them transition from student to MYOB bookkeeper even after they’ve graduated from our courses. There’s no better companion to the MYOB software than our training workbooks, so if you’re thinking of becoming an MYOB bookkeeper or just need help using the software for you business, enrol in our MYOB training courses today. Posted on June 5, 2014 June 4, 2014 Author Steve SlisarCategories Bookkeeping, MYOB training course, MYOB Training Courses, News, Online MYOB Training BusinessTags #195, bookkeeper induction, bookkeeping business, cloud accounting software, MYOB, MYOB Bookkeeper, myob bookkeeping, MYOB courses, myob online, myob online course, MYOB training, MYOB training courses, start a business, training material, training resources, training workbooks, work from home1 Comment on Bumper Content: 10 Training Workbooks Included in our MYOB Courses! Your Business Accounting Software: Is it Working Best for You? Is your business accounting software – and your business bank account – saving you time? It should be! In a previous post we wrote about business bank accounts. Some banks, even though they offer business accounts, aren’t actually all that business friendly, and this can sometimes add hours to your bookkeeping and reconciliation processes. If you’re starting a new business and going to open a business account, we recommend you do your research and shop around, because not all accounts are the same. Some business accounts integrate nicely with your accounting software, while others, like a Bank of Queensland account, for example, does not because they transferred their credit card service to Citibank, preventing integration with the Banklink feature of MYOB. Other business accounts don’t allow businesses to have a Visa or MasterCard debit card attached to their business account and only allow businesses to make online purchases using their own money. Business owners can only use a linked credit card to make online purchases or a separate debit card. Either option still results in additional journal entries in your accounting software. If you’ve been battling with your current bank, now that we’re approaching the end of the 2013/14 financial year, it might be the time to consider moving your accounts elsewhere so you can start afresh come July 1. Or perhaps it’s not your bank that’s playing havoc with your bookkeeping – perhaps it’s your bookkeeping software. As we approach a new financial year, it might be a good time to consider switching your account keeping software to MYOB, or something simpler, like Xero (we have written in the past comparing the two). At EzyLearn, we provide a range of training courses for a number of different accounting programs from the basic Reach Accounting to the more sophisticated MYOB. For more information on our training courses, visit our website. We value – and need – your feedback about our online training courses. Over the years, we’ve provided online training to numerous Australian – and international – students, whether via our flagship MYOB training course or one of our Excel or WordPress courses, or our more recent Small Business Management Course. Over the years these students have provided us with valuable feedback. The feedback we receive from our students helps us to understand what’s working and what isn’t, which is why it’s invaluable to us that you get in touch and let us know what you think. It was based on the feedback we received from our students that we decided to develop our Reach Accounting and Xero training courses. It is also based on the feedback we received that we changed the way we issued our certificates so that students received them faster and could use them to find work. We’d love to hear from you too. Get in touch via our course evaluation page. MYOB: What is an Induction? 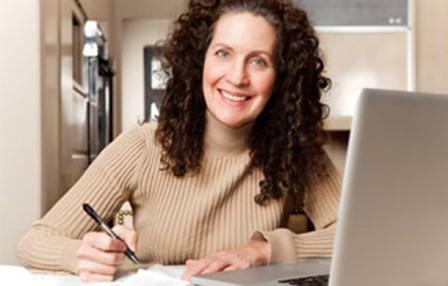 Our MYOB course will help induct you into the role of bookkeeper. 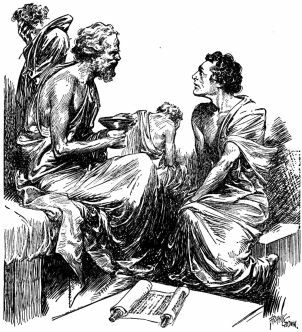 The word ‘induction’ has many uses, which can make it rather subjective. It can refer to the time interval between the cause and the first measurable effect in an experiment; it can refer to stimulating the process of childbirth; it can refer to a rite of passage or ritual event, like a Bar of Bat Mitzvah; even our MYOB training courses act as a kind of quasi induction into the world of bookkeeping. Even though our MYOB courses are primarily teaching you how to use an accounting software package, we deliberately created training courses that would expose our students to real-world bookkeeping scenarios, so they would properly understand the software. When you complete the day-to-day transactions module of our MYOB course you’re taught how to receive money and pay bills, record a cash-sale, settle credits and returns, and analyse payable, among other things. Each module within our MYOB training courses teaches you a fundamental aspect within the whole bookkeeping process, and in that way our courses act like an induction into the role of a bookkeeper. An induction helps to give a person a basic understanding of what to expect of a particular situation or circumstance. In the instance of our MYOB courses, we’re helping you to understand what is expected of you as a bookkeeper, and what you should expect in turn. Many organisations provide new employees with induction training to help them understand how the business operates, and to keep their existing staff up-to-date with changing policies and procedures – such as work, health and safety. As Australia’s leading provider of online training courses, EzyLearn has recently ventured into providing companies and organisations with the facilities to provide their staff with online induction training. If you’d like to learn more about the kinds of induction programs you can offer your staff, visit our website or request a quote. Posted on April 7, 2014 April 3, 2014 Author Steve SlisarCategories Bookkeeper and bookkeeping business, Bookkeeping, Cloud Accounting, Cloud Computing, MYOB training course, MYOB Training Courses, News, Online Induction, Online MYOB Training BusinessTags business inductions, induction training, MYOB, MYOB training courses, online inductions4 Comments on MYOB: What is an Induction? Discussion Post: How Do You File Your Invoices and Receipts? How do you file invoices and receipts? We’d very much like to hear! Whether you’re a bookkeeper or business owner, if there’s one thing we probably all have a shared hatred of — it’s filing. 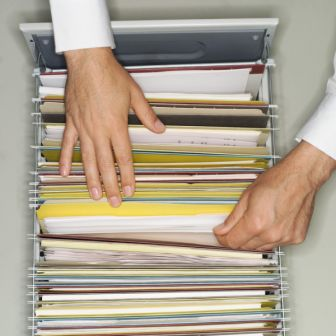 Filing is the little task we always put off, until eventually we can’t find anything through the sea of paper and receipts cluttering our offices. This wouldn’t be so bad if filing wasn’t such an important part of a business. But as cloud computing, internet banking and email have changed the way businesses operate, the way people file their expenses and important business documents has changed as well. If you’re a business owner — that includes self-employed bookkeepers — and you’re taking one of our MYOB training courses for work, you’d have received our invoice by email. So how will you file this? What about bills? There are many companies that now offer electronic bills — and some of these companies, like Optus, for example, even allow their bills to be automatically integrated into your internet banking. A lot of bookkeepers would probably defer to tradition and print each invoice, bill or other expense and then file the hard copies — but is this still necessary? With the availability of low-cost cloud-storage software like Dropbox, are there other, more efficient ways to file and store your business records? On this blog, it’s usually us suggesting new ways of doing things to help make your business more efficient, so we thought we try something different this time: we want you to tell us how you manage your filing in today’s digital age. How do you file your expenses? Do you file them alphabetically, by business name or chronologically, by date? If you have a lunch meeting with a client, how do record these expenses? Do you include an agenda of what transpired in the meeting? Most invoices from other businesses are emailed; do you print these invoices and file them or do you store them in the cloud? If you store your invoices and receipts in on your computer or in the cloud, then how do you file them? By date or by client name? What about those receipts and invoices that are still hardcopies — what do you do with these? 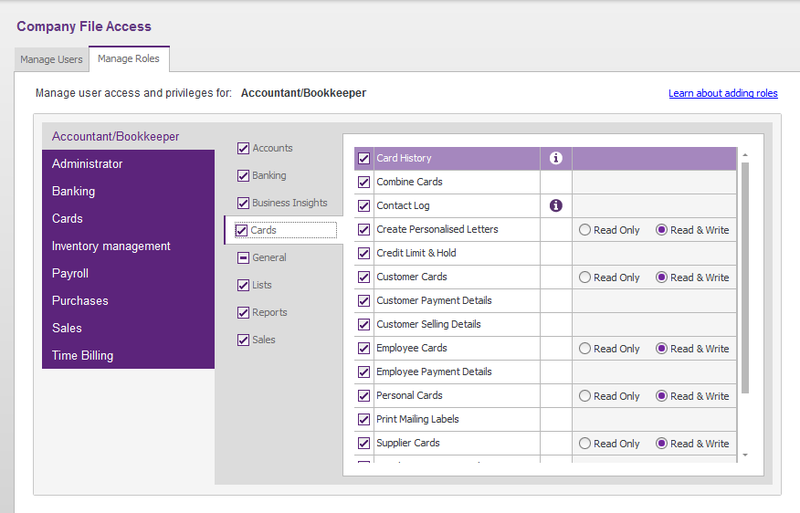 How do you give your bookkeeper or account access to your expenses? We want to hear from YOU about your unique or interesting ways of filing and managing your business records, so get in contact with us! Simply leave your answers in the comments below. Posted on April 3, 2014 April 2, 2014 Author Steve SlisarCategories Bookkeeper and bookkeeping business, Bookkeeping, Cloud Accounting, Cloud Computing, Employment, MYOB training course, MYOB Training Courses, News, Online MYOB Training Business, Small Business ProductivityTags #164, accounting, bookkeeping, business expense, filing, taxes1 Comment on Discussion Post: How Do You File Your Invoices and Receipts?